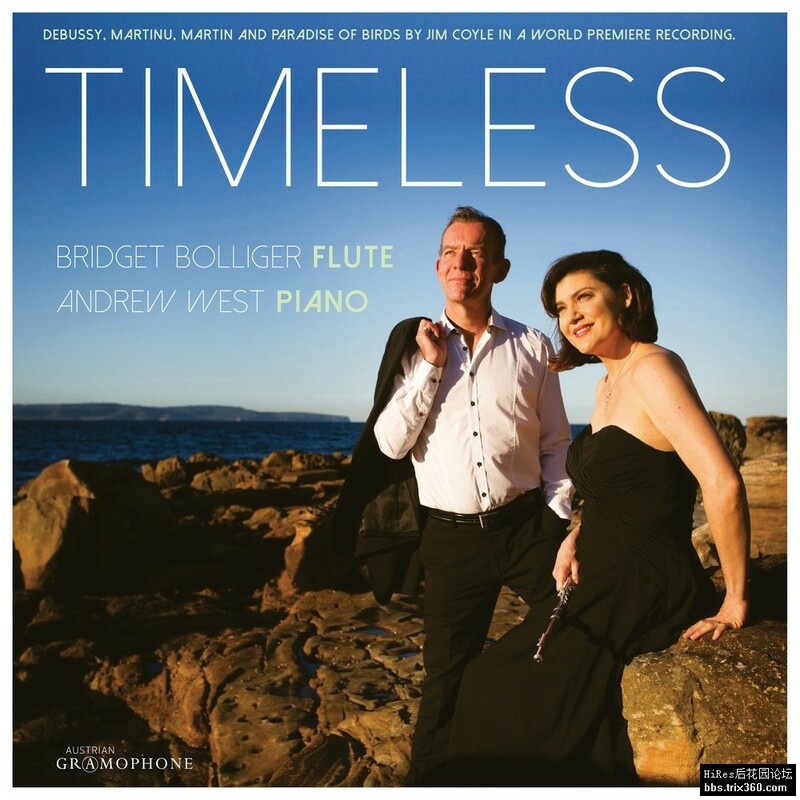 Australian flutist Bridget Bolliger, known as the artistic director of the Sydney Chamber Music Festival, presents a diverse range of works on this recital album. Of particular interest is the world premiere recording of Jim Coyle’s “Paradise of Birds” suite for flute and piano – a tribute to Bolliger’s home continent, and the perfect link between Europe (where all other music on this recording comes from) and Australia, where all Europeans long to spend their winter months. Australian-Swiss flautist Bridget Bolliger was born in Sydney, where she distinguished herself early, studying under Jenny Andrews, Jane Rutter and Vernon Hill and performing the Ibert Flute Concerto with the Sydney Symphony Orchestra at the age of 15. She graduated from the Sydney Conservatorium High School and was awarded the ASCM with Merit by New South Wales Conservatorium of Music. She went on to study in Switzerland at the Basel Music Academy, and has attended master classes with the world’s most famous flutists. She has been principal flute with the St. Gallen Symphony Orchestra and the Sinfonica de Sao Paolo.